I'm slowly reviewing the beers I brought home from my beercation in Vermont. 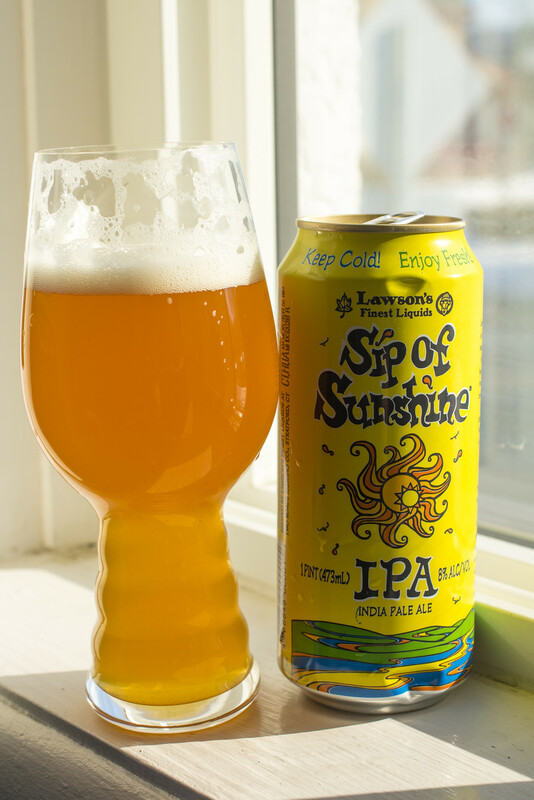 Let's start off with Sip of Sunshine IPA by Lawson's Finest Liquids out of Warren, Vermont. Sip of Sunshine is brewed for Lawson's by Two Roads Brewing out of Stratford, CT. Appearance: Sip of Sunshine pours a cloudy orangeish with a bit of a hint of an amber hue to it. Bit foamy as it's being poured but it goes down fairly gradually, leaving a quarter of a finger's worth of foam as it warms up a bit.. though this beer is recommended to be drunk cold. Thankfully it's still cold! Aroma: A parfumic IPA with notes of pineapple, tangerine, grapefruit and pine. Sweeter than most Double IPAs on the market.. and at 8% ABV, I feel this should be classified more as a double IPA than a regular IPA. Taste: Wow is how I can describe it. 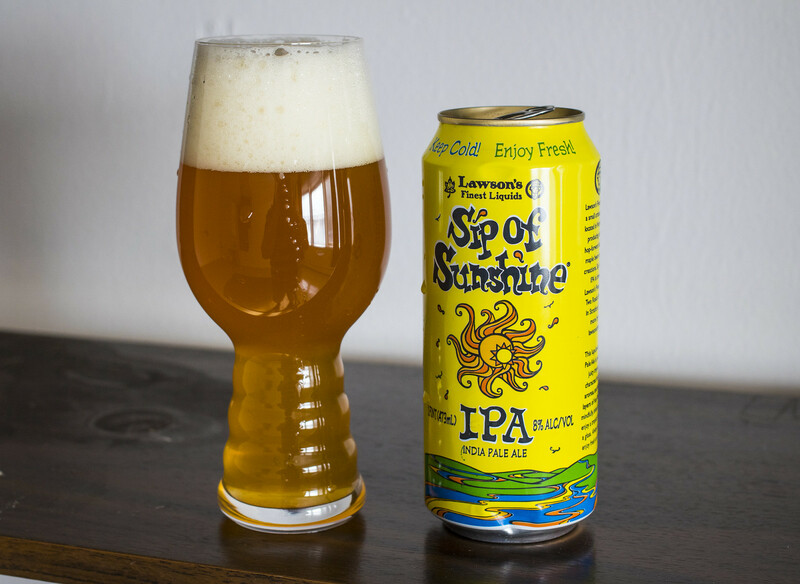 The name "Sip of Sunshine" truly describes the beer. 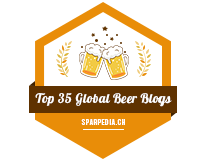 It's a hoppy IPA with a large malt focus in it. 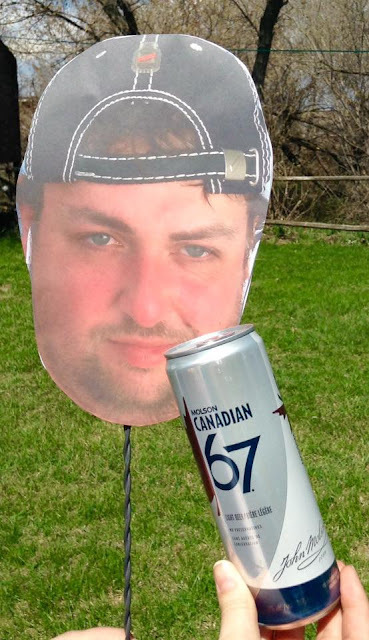 It's sweet, it's bitter, it's a party in your mouth. I'm getting the same notes as I found in the aroma - pineapple, tangerine and pine. It's also a bit soapy and I'm finding that the aftertaste is a bitter pine and metallic taste. Somewhat creamy for the mouthfeel.. and quickly getting a bit of a hop burn in my throat.. time to get out the TUMS! Overall Thoughts: I rated this 4.5/5 on Untappd.. this is a remarkable IPA. It's high in hoppy bitterness but it allows for the tropical notes to come out as the star of the show. No wonder why people rave about Lawson's Finest Liquids.. this is simply a masterpiece in a can! Tops out at a whopping 8.0% ABV and surprisingly only 65 IBU.